Having fire extinguishers at your commercial or industrial premises is essential, but that alone is not enough. 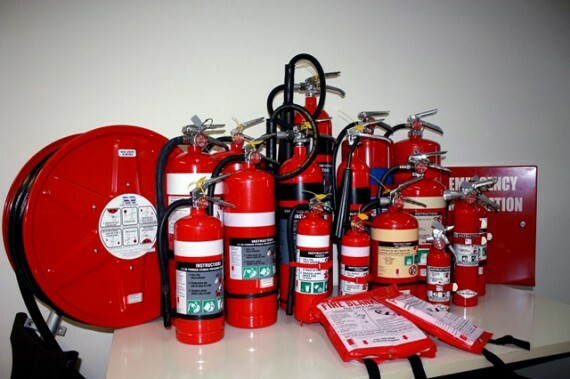 Fire extinguishers need to be regularly checked and serviced to ensure that they are in perfect working order. The problem for many people is that they don’t know how frequently they need to be serviced and what work requires doing. This is when you need to call on the services of a company such as London Fire and Safe. We have teams of experienced, expert mobile units available to check, maintain, refill and ensure that your equipment is fully compliant with government regulations. If you have a service contract with ourselves we will ensure that this work is carried out at the times it is required. Most of us don’t like to entertain the idea of using a fire extinguisher in an emergency, but should that event ever arise, we need to be confident that the extinguisher works properly. The only way that you can ensure this is to have your extinguishers serviced and checked at regular intervals. 7. All additional work must be approved by the client prior to being carried out. 5. There are no dents, leaks, rust, chemical deposits or any other signs of wear and tear. you could contact us via our website.